A familiar face is joining the KU staff. KU women’s basketball coach Brandon Schneider announced Monday that Emporia State coach Jory Collins would be coming to KU as an assistant. Collins served as an assistant coach at Emporia State for three seasons before being awarded the head coaching job. He’ll fill the vacancy left by the departure of Katie O’Connor, who “resigned to pursue other opportunities outside of basketball” after 12 years at KU, according to a release. KU and Emporia State have played twice in Schneider’s time as head coach at KU. 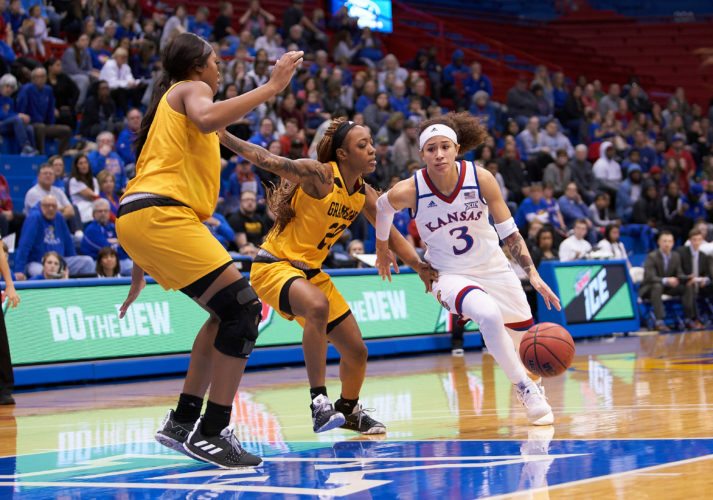 After the meeting earlier this season — KU defeated ESU, 69-49 — Schneider praised the way Collins had led the Hornets’ program. Schneider coached Emporia State until 2010, when Collins took over the program. Collins, who was on Schneider’s staff when the Hornets won a D-II National Championship in 2010, had praise for his KU counterpart as well. Collins, who led Emporia State to seven 20-win seasons, six trips to the D-II Sweet 16 and one to the Final Four, said he was excited to be joining the program at Kansas. The Jayhawks finished their 2017-18 campaign at 12-18 (3-15 in Big 12 play), falling in the first round of the Big 12 tournament to rival K-State.